"An Intuitive Reading with Jennifer is not focused on contacting deceased loved ones, but rather on receiving ANSWERS and GUIDANCE from both SPIRIT and ENERGY. An Intuitive Reading assists us in dealing with our personal and professional concerns from all levels - physically, mentally, emotionally and spiritually." Here are some testimonials from just a few of Jennifer’s clients. I had my first reading with Jennifer on 12/5/2013. Jennifer predicted that I would have a new job before Christmas 2013 and she had seen the job offer coming to me in the form of a contract. On 12/12/2013, I received a written job offer in a contract format which I accepted on 12/16/2013. Jennifer’s predictions where 100% accurate, a socking accuracy among most Psychic/Mediums. 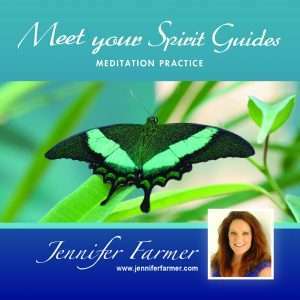 You should try a reading with Jennifer if you want 100% accuracy and answers to your questions. 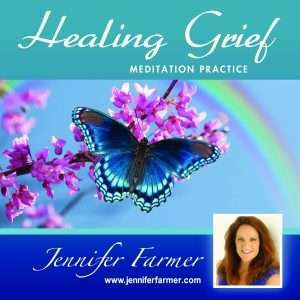 “I recently had a wonderful reading with Jennifer Farmer and was both impressed with her psychic and mediumistic abilities as well as her ability to put me at ease. She made me feel as if we had known each other for a long time; yet she was like a trusted counselor and this at our first reading. “I had never had a personal experience with a Psychic Medium before this. 5 months ago I went to a Mind Body Spirit Expo fair. I was familiar with the concepts but skeptical as to the nature of spirit communication. I went alone to a short presentation Jennifer gave, I didn’t know anyone there. Surprise, the first message out of the box was for ME! It was Charlie, a friend who passed 16 yrs. ago and was not on my mind at all. The message was about me and him, specifically to me. I was blown away. It was undeniable that it was accurate. I understood 90% of its meaning. Over the next 5 months Jennifer has read for me and half a dozen of my personal life long friends. Everyone is amazed and agrees that she has a genuine gift to communicate with spirit. If you are looking too, she is a wonderful warm person to include in your journey. “I found Jennifer to communicate well over the phone when setting up our appointment and arrived at the appointed hour ready to start. At the beginning she asked what I thought that I would like to do, explaining different styles and types of readings: family work or life work. I think that we did a combination of both. I thought she was accurate and came through with what I needed to hear. “My father died when I was twenty-two years old. There is a lot of things that I wanted to say to him but never had the chance. When I first meet Jennifer she connected with my father and I knew it was him, because he was a man of few words. I knew his expressions of speech right away. Only someone who knew my dad very well could have known all the things Jennifer was telling me about him. “Jennifer was a medium for me and my best friend Joy, at the time of her passing… what over came me most was guilt and regrets. When you saw my turmoil and came to me I hadn’t even cried yet, I even felt guilty about that. After you spoke to me and confirmed things only Joy would know, a peace of mind, heart and spirit came over me. We had been friends for over 20 years and you were so accurate with the experiences we shared as children. You were right on target with her likes and her personality to a tee.